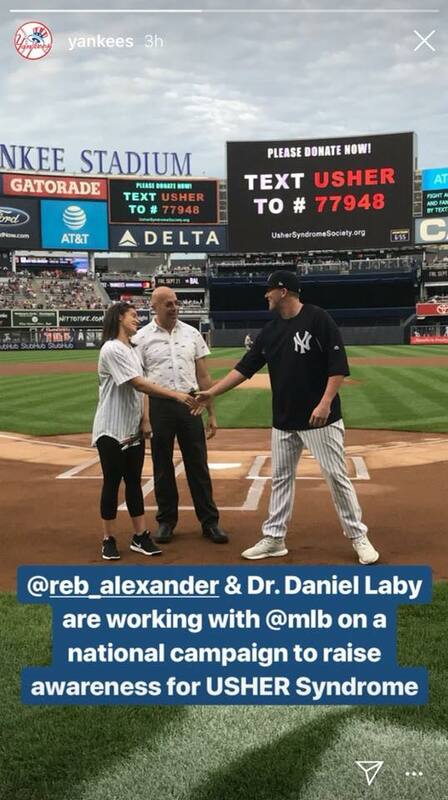 Following a successful first pitch for the Chicago Cubs in June, Rebecca Alexander threw the ceremonial first pitch for the Yankees on July 31st. During the game, a moving Public Service Announcement debuted. This beautiful video highlighted the challenges faced by those living with Usher Syndrome and reached countless baseball fans at the stadium and beyond. The Yankees social media also supported the cause on Twitter and Instagram. It was an amazing night!